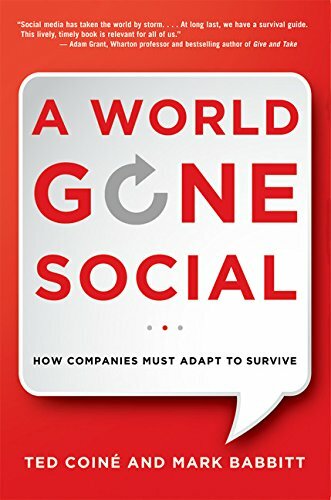 The Social Age is Upon Us: Adapt or Die. The best how-to guide for thriving in the "Social Age" that I've ever read! A Social Age future too big to ignore. A much-needed book for all! Many great concepts (some of which are easier said than done). Oct 10, 2014 2 of 2 found this helpful. 26 of the 41 total reviews for this product are unverified purchases. While this is a higher percentage of unverified purchases than we'd expect to see, the discrepancy in ratings between the unverified purchases and verified purchases isn't significant enough to rule out the possibility of it being due to random chance. 30 of the 41 total reviews for this product use substantial repetitive phrases between them. This is an excessively large percentage which may indicate unnatural reviews. We counted 41 reviews for this product over the span of 628 days, an average of 0.1 reviews per day. If these reviews were created randomly, there would be a 99.9% chance that we would see 2 or fewer reviews on any given day. We didn't find any days exceeding this threshold. Lead Positive: What Highly Effective Leaders See,... by Cramer, Kathryn D.